…provides mucho inspiration for designers on the hunt for vintage visuals. i won’t lie. we managed to get in by the skin of our teeth as the shop was closing up for the evening and just managed to snag a couple of finds. 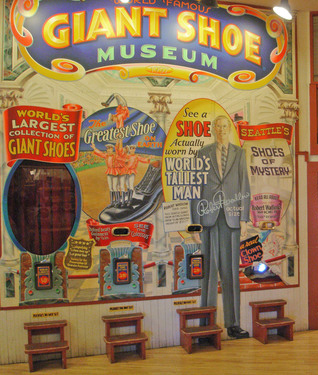 located beneath the pikes place market, it is so characteristic of the location’s historical vibe featuring a storefront peepshow of the world famous giant shoe museum! 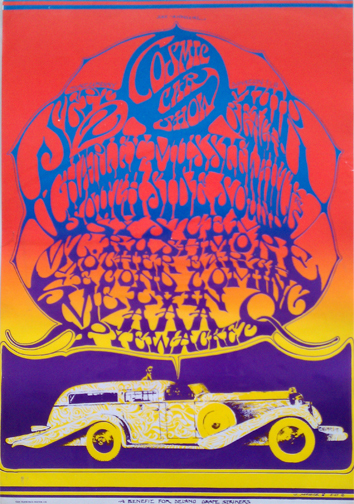 this is from the second printing done by frank westlake, printer of the family dog avalon ballroom posters in the 1970’s. 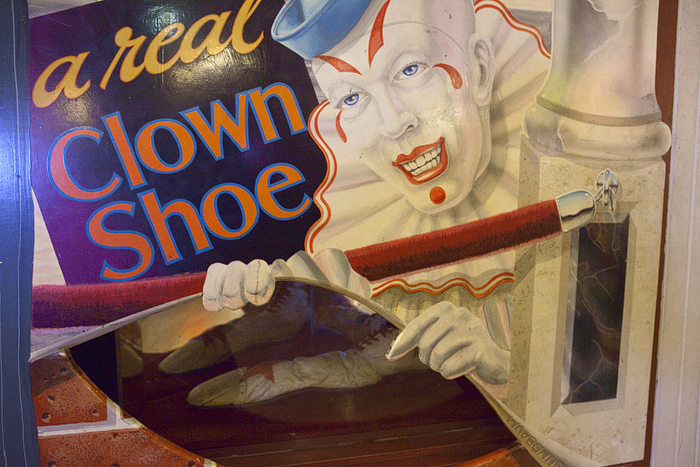 the evidence of this is in the ‘san francisco poster co.’ mark on the lower left hand corner. further research hasn’t turned up much info on the cosmic car shows so i can only assume that the first was also the last. 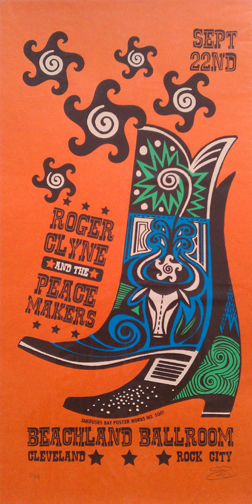 there’s something about the flatness, the color combination and cowboy boots that i found appealing and reminiscent of the groovy culinary posters that hung in my family’s kitchen in the 70’s. channeling the great david weidman…. recently produced by sandusky bay poster works, this work is numbered 51/69 and is autographed by the artist. having visited the site, it’s difficult to get more information on who’s who but it’s definitely worth the visit to peruse the other galleries. 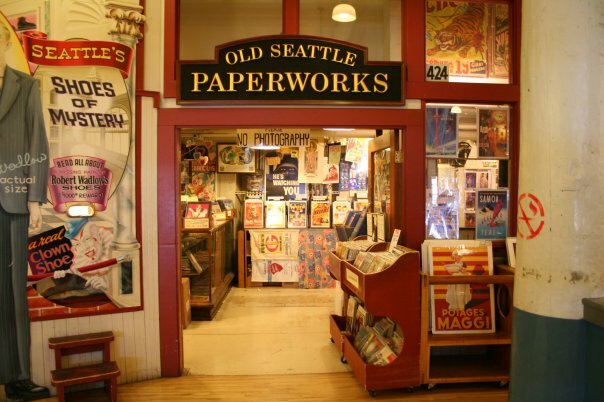 if you’re heading to the northwest and want to stop into old seattle paperworks and say hello, i’ve posted the vital stats below. for those who can’t get to seattle, don’t fret. technologically savvy, john and amy hanawalt, the shop’s proprietors, have a facebook page on which they post tasty cuts for your pleasure! as evidenced in this post, the hunt doesn’t stop with the image but opens up a whole new world of informative twists and visual turns. What a fun post! It sounds like a great place full of very cool things!